At ET Learns we believe that effective partnerships are key to lasting success. If you are interested in working with ET Learns, fill out the form below and we will get back to you. World Possible is a non-profit organization committed to providing modern teaching tools around the world. Founded in 2009 with the mission of “Bridging the Digital Divide to Deliver Educational Opportunity”, World Possible now coordinates projects in the United States, Guatemala, Kenya, Sierra Leone, and Namibia. In 2017 ET Learns was excited to announce a new affiliation with World Possible, a relationship that allows ET Learns to utilize World Possible’s “RACHEL” (Remote Area Community Hotspot for Education and Learning) server in our Ethiopian learning labs. RACHEL is designed to give students and teachers access to digital educational content, such as textbooks, Khan Academy videos, Wikipedia articles, and more, even in situations where internet access is limited. Visit worldpossible.org to learn more. The Wolaita Development Association (WODA) was founded in 2001 as a non-governmental organization with the goal of bringing development to the Wolaita zone of Ethiopia’s Southern Nations. Its primary focuses are the development of human capital, ensuring sustainable livelihood security, and the implementation of integrated health plans. Today the organization is vital to regional development and has more than 300,000 permanent members. ET Learns has been a longtime partner of WODA, a relationship that has allowed for greater support and coordination on the ground in Ethiopia. Visit wolaittada.org to learn more. Frances G. Cosco Foundation (FGCF) is a Canadian charity based in Edmonton, Alberta. Their mission statement commits them to improve the lives of disadvantaged people through education: “Education for Change”. 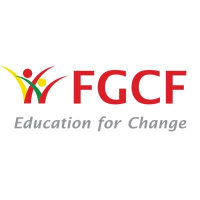 FGCF undertakes projects in partnership with local Ethiopian governments and organizations, taking a holistic approach to increasing access to education in Ethiopia. ET Learns partnered with FGCF in 2017 to bring four Learning Labs to the Amhara region of Ethiopia. Visit fgcfoundation.org to learn more about their important work.